I. At time of sale, a valid government identification must be displayed and noted on any invoice or sales order through the Bayit Office. The ID must match the individual picking up the furniture unless the customer signs a release of goods to another party; the party name must be noted and match the individual picking up. If the identification and/or name do not match, Bayit Furniture will not release the product unless there is a physical confirmation from the customer (we do not accept a phone call or email as substitute). a. If the customer has used or is in the process of financing, they cannot send a representative to pick-up furniture. They must be present in person at time of pick-up. II. All sales through Bayit Furniture are final. We do not accept returns and do not issue refunds. With the exception of manufacturer defects, any damages to the packaging or boxes of items must be noted during pick-up or at the time of delivery for any exchange. a. Manufacturer Defects – Please notify your sales representative within 7 (seven) days of purchase if there is a manufacturer defect, such as missing hardware or an incorrect piece, a picture of the item purchased must be sent to sales@bayitfurniture.com for replacement. Failure to notify your representative within 7 days releases Bayit Furniture from liability. 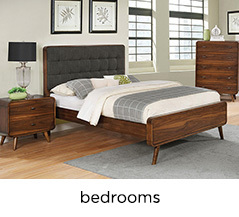 b. Close-outs and Floor Models– Close-out items are specially priced and marked down from retail cost. All close-out and floor model sales are final, no exception. c. Loading – At customer’s request, Bayit Furniture staff will assist with loading merchandise in the customer’s vehicle, but will not be responsible for damages to merchandise, vehicles, persons or personal property incurred during or after loading. III. Bayit Furniture is proud to offer delivery options. Please contact your sales representative or contact sales@bayitfurniture.com with your zip code and number of rooms to be furnished to determine the estimated delivery cost. a. Fee – Delivery fee is based on zip code. Within 25 miles of 20794 zip code is a minimum $150; outside of 25 miles of 20794 zip code is a minimum $200. Please contact us for the exact cost of your delivery. b. Refusal – If you arrange delivery of items and either fail to answer when the driver arrives or refuse delivery/payment, you will not be given a second chance for delivery. There is a $99 restocking fee on all items that will be charged. Any deposit made on items is forfeited. c. Delivery is available Monday through Friday, 10 a.m. to 7 p.m. It is the customer’s responsibility to ensure that an adult over the age of 18 is present at the time of delivery to accept, inspect, and sign for merchandise, or merchandise will be returned to the warehouse. The driver will deliver the furniture into the first room from the front entrance unless assembly has been accessed and paid for in advance. d. Delivery and Set-Up – Bayit Furniture subcontracts set-up to our drivers. Please note during purchase if you would like assembly, as it is an additional fee. Bayit Furniture reserves the right to refuse delivery if the pathway is blocked, unclear, or hazardous. e. Damages – It is the customer’s responsibility to inspect all merchandise at time of pick-up or delivery for any damages. Customer should not accept or sign for merchandise deemed to be damaged at time of delivery or pick-up. Customer’s signature on sales receipt/invoice constitutes acknowledgement by the customer that merchandise was received in full and in good condition, and releases Bayit Furniture from any and/or all further obligation to provide additional merchandise, accept returns, or provide additional products, tools, or services of any kind. IV. Bayit Furniture currently accepts cash, credit card, and PayPal for purchases. At this time, we do not accept personal checks. a. If paying through PayPal, please notify sales@bayitfurniture.com as to your log-in name. The sales ID for payment is sales@bayitfurniture.com . Any transaction through PayPal must clear the account before delivery or pick-up will be arranged. b. The delivery fee may be paid at the time of purchase or at the time of delivery. Failure to pay for delivery at the time of delivery, regardless of previous payment, will result in the return of your goods and forfeiture of paid invoice. c. Bayit Furniture is proud to offer third-party financing options through Merchant’s Preferred. Please contact a representative for more information. V. All items are owned by Bayit Furniture until paid in full. Merchandise can be held for a maximum of 5 business days. 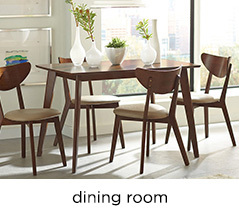 Bayit Furniture does not offer layaway. a. Bayit Furniture offers special order to manufacturers such as Glory, Ashley, and other vendors. A deposit must be placed for merchandise and a special order cannot be cancelled without a forfeiture of deposit. b. Special order turn-around is roughly 4 to 6 weeks from the date of deposit. Availability date of special orders is not guaranteed and must be confirmed with the vendor. Some vendors have minimum orders Bayit Furniture must adhere to, which may cause some delay in delivery. c. Next Day – Items marked “Next Day” or “Quick Ship” on www.BayitFurniture.com are warehouse items that are available for next day pick-up. VII. Bayit Furniture applies Maryland sales tax of 6% onto every invoice and is not subject to negotiation. VIII. Hours for pick-up – Bayit Furniture is open from 830 a.m. to 5:00 p.m., Monday through Friday. As of August 1, 2016, we will offer Sunday hours 12 p.m. to 5 p.m. If these hours are not suitable, please contact sales@bayitfurniture.com or see our delivery options. a. We offer delivery from 10 a.m. to 7:30 p.m., Monday through Friday. IX. Contact us – We are available at sales@bayitfurniture.com every day of the week. Our contact hours are 9:30 a.m. to 7:30 p.m. Monday through Friday, and 12 p.m. to 5 p.m. on Sunday. X. Pricing – We advertise on eBay, Craigslist, and through our own websites. Any special prices must be confirmed with sales@bayitfurniture.com and noted in any correspondence. XI. Dropship – Please ask a representative about our dropship policies. We do not offer international shipping. We do not offer shipping at all to the following states/territories: Alaska, Hawaii, Puerto Rico, the Virgin Islands. Thank you for choosing the Bayit Furniture Special Order Program to purchase your new furniture. We have a wide variety of vendors that you can choose from. This is how our program works. Special orders must be paid in full prior to the order being placed with the vendor. The order must be minimum of $1,000.00. We quote any where from 3 to 8 weeks estimated arrival time, however, we can not guarantee this time frame, or if the item is in stock with our vendor. Once a special order has been placed, and paid for in full, in advance, there are no authorized cancellations of the order. We do not offer exchanges, refunds, or store credit on any special order item. Once the special order is placed, all sales are final. We charge a non-refundable processing fee for special orders in the amount of $100.00, and this will be added to the total ticket price. CLICK HERE TO VIEW AND PRINT OUR CONTRACT AND ORDER FORM! Thank you for choosing the Bayit Furniture Layaway program. We would love to assist you in purchasing new furniture for your home. This is how our program works. We require your purchase to be a minimum of $1,000.00. A deposit of 10% must be paid at the time of agreement. You have seven calendar days from the time of the purchase to cancel the order and have a full refund of your deposit. Please allow Bayit furniture 30 business days to process the refund of your deposit. We offer a 12 month or less layaway program. 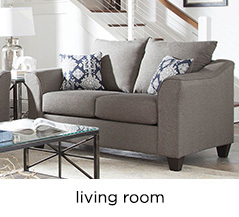 Meaning, you have up to 12 months to pay off the furniture, and come pick up the items, or have them delivered to you. We will only hold the items for 6 months from the initiation of the laway. If you choose to do a full 12 month program we can not guarantee that item will still be available for purchase. However, your funds will be converted to store credit, and you have many other options in the same price range to choose from. We require monthly payments via cash, paypal, or credit card. If you want to cancel the policy after 7 days, no refund will be given. The amounts paid will be available as store credit only. We also will charge a $75.00 cancellation fee. If you fail to contact us within two weeks after payments are complete to arrange pickup or delivery, the furniture will be placed back in stock, and no refunds will be given.